We have all probably tried our luck at the old “one-armed bandits” or “fruit machines” in an amusement arcade at some time in the past. Time has moved on and the humble slot machine has evolved considerably over the years (with some now almost requiring a university degree to understand) but they still continue to have mass appeal. Visit any online bookmakers and there will invariably be an entire section dedicated to slot machines with payouts ranging from a few pence to millions of pounds. But are these slot games just a noisy and colourful rip-off or is there money to be made from online slots in the UK? Way back in time, in the dark days before computers, slot machines were simple to understand and simple to play. Three rolling drums with a set number of different symbols on each were rotated at the pull of a handle. The rules for winning were equally simple. One lucky symbol could net you a whole 10p, two in a line and you were in the big time. Match three symbols in a row and you could almost retire with a £1 Jackpot. Nowadays, online slots in the UK are a whole different ball game or whatever symbol the machines now use. Although three-reel slot machines are still quite popular, five-reel slots are the number one attraction. No longer does the machine simply pay out for a winning central line of symbols but there any number of winning diagonals and multi-line combinations that will also pay a dividend. Machine designs, or themes, are no longer confined to just fruit or cards but cover every conceivable aspect of life and even footballers, jockeys, movie and pop stars and cartoon characters have casino slots designed in their image and honour. With so many features now appearing on modern slot games it would seem almost impossible to lose money! The introduction of the “Nudge” button to move a reel forward was revolutionary at the time (pardon the pun) but looks sadly outdated now with so many features added to the modern slot machine. Multi-line slots were just the beginning as there are now bonus and multiplier slots where winnings can be increased by a factor of two, three and more. And if playing one game at a time isn’t enough to occupy you, there are also multi-panel games to keep your eyes and brain busy. 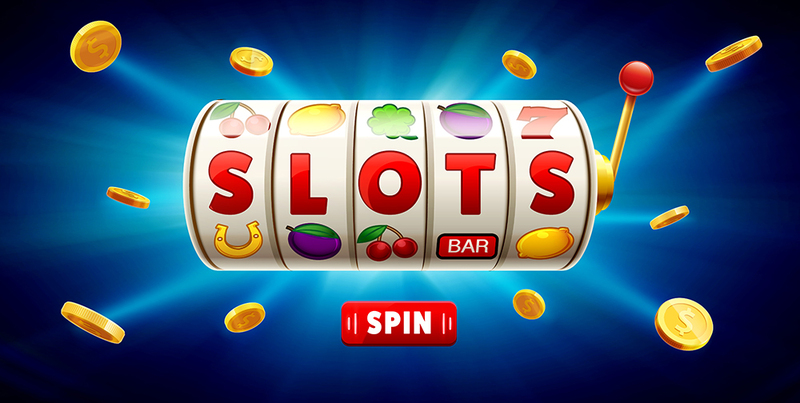 To confuse matters further, a lot of online slots in the UK also have “Scatter” symbols to randomly spin the reels or activate Bonus Rounds, Free Spins and Multipliers. And don’t forget our old friend the “Joker” or “Wild Card” which can substitute for other symbols. Sometimes I really miss the three lemons! There was always an unspoken suspicion that the old slot machines in amusement arcades were somehow rigged or fixed to favour the shady characters that operated such places. To avoid any such misgivings, the modern games are scrupulously monitored by auditors to ensure that players are treated fairly and honestly. The best online slots are completely run by computer programmes and have no human interference. Using Random Number Generator software, every spin of the wheel is totally random with no way to predict the outcome and therefore completely fair. This is not to say that the casino runs the risk of going broke as inbuilt safeguards ensure that the house will always end up with a profit. It is the margin of profit that players need to be aware of! To encourage new customers to join, and existing customers to keep returning, casinos will proudly advertise their payout percentage. All the best online slots in the UK will have an RTP (Return to Player) in the region of 95% or higher. This means that for every pound staked on the slots, the customers will get 95 pence or more back. Of course, that doesn’t mean that you will always get most of your money back but the higher the RTP a casino has, the more chance you will have. Strangely, some casinos openly boast of an RTP of just 60% but they must have very few customers! As is the case with most things in life it is a great advantage if you actually know what you are doing. Most casinos will allow customers to play a selected number of slots for free and this is the ideal way to educate yourself without it costing a penny. Get to know the machine’s quirks and special features or you could end up losing a considerable payout through ignorance. The best lesson, however, is to learn to treat even the most tempting and best online slots as a fun and entertaining way to while away an hour and not as a guaranteed route to a multi-million pound jackpot bonanza.